When migrating a website to the latest web content management system, it’s not only about transferring web pages, but rather, and this is the challenging part, migrating relationships, links, images, documents, versions, and configuring the metadata correctly. In addition, mapping the content between the source and target system can provide challenges as well. Regardless of whether the source of the migration is Hippo CMS (now BloomReach) or another web content management system. In addition, the structure of each Hippo / BloomReach environment is different and often has customer or project-specific content types and functionality. Xillio's Hippo / BloomReach CMS connector combines our knowledge of Hippo / BloomReach with our migration expertise and is easily configured to deal with these challenges and differences. Thanks to our migration software and Hippo / BloomReach connector, the focus is on improving and cleaning up content and no longer on the technical challenges. In recent years, Xillio has migrated dozens of leading public websites to or from Hippo / BloomReach, including the Dutch government, railways, and police departments. For the Dutch government project, 13 different ministry sites were migrated from nine different content management systems. With the help of the Hippo / BloomReach connector, the Dutch government was able to migrate in phases, and was even able to continuously synchronize a number of their content repositories. Our connector can easily export and import Hippo / BloomReach content into numerous CMS. Our import connector uses a two-stage approach. 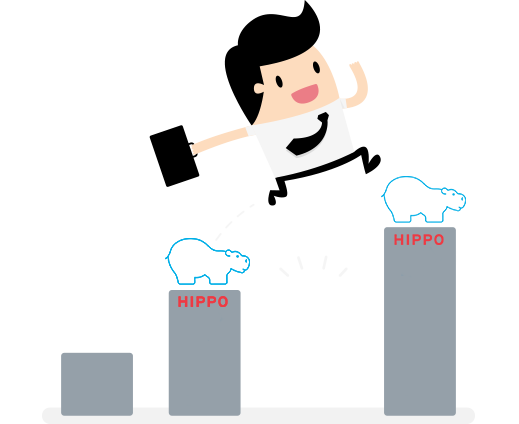 In the first step, the structure is created in which all folders and Hippo / BloomReach handles are created so that the new Hippo IDs are known. In addition, the handles are updated with the actual content, assets, and metadata, and the internal relationships are reconstructed. Our import connector uses a three-stage approach. In the first stage, the folder structure is created; this will generate Hippo handles that will then serve as the contents new ID. In the second stage, the handles are updated with content, assets, and metadata. Lastly, the internal relationships are then restored. Xillio's export connector uses the XML export feature built into Hippo / BloomReach. The extracted .xml files are automatically transformed into Xillio's unified content model, from where it can be easily imported into any other CMS system.